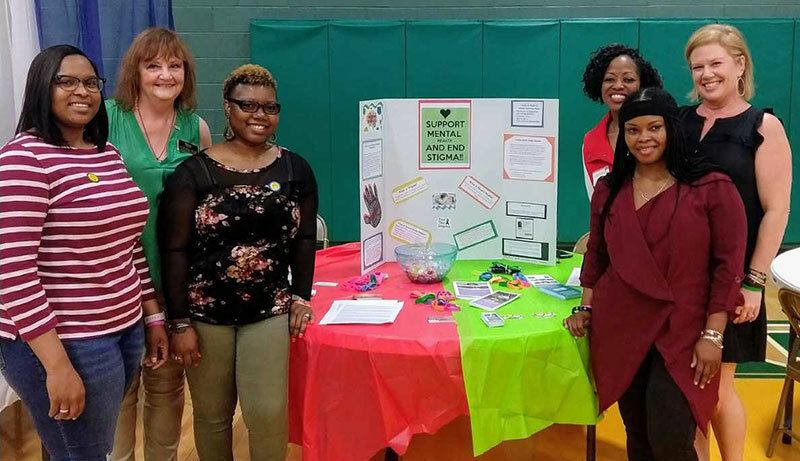 Members of our counseling program at the Myrtle Beach campus (Social and Cultural Foundations class) volunteered at a health fair in Conway, SC last weekend. Students made informational posters about mental health and the stigma surrounding seeking help for mental health-related problems. The provided flyers and business cards for local agencies and clinicians, handed out candy, balloons, and toys, talked to community members, and one of our students gave salsa dancing lessons during the fair! Approximately 200 people in the community attended this free event. 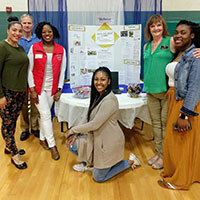 The annual health fair is sponsored The Conway Alumnae Chapter of Delta Sigma Theta Sorority, Inc. and takes place in a minority, lower SES community.